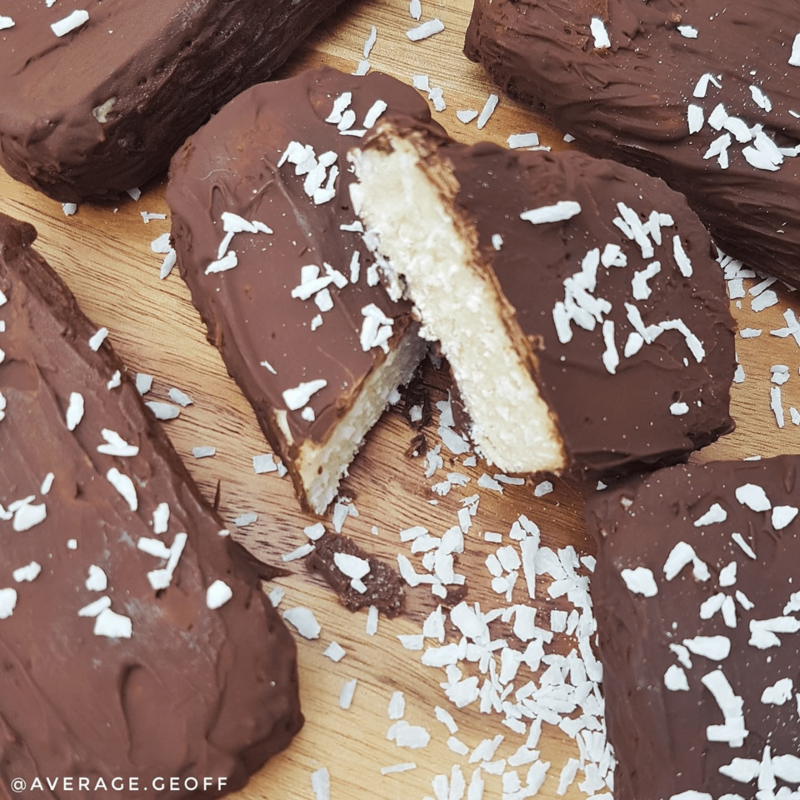 I'm not allowed to call these bounty protein bars but....well you get it!! These have that sweet smooshy thing going on with a whopping protein hit and they’re very easy to make. Mix together all but the chocolate in a bowl until consistent. Shape into 6 equal bars and bang in the freezer for about an hour or more. Melt you chocolate and using a silicone brush or smoother, cover the bars. The chocolate will set after a few seconds so you can turn them over.